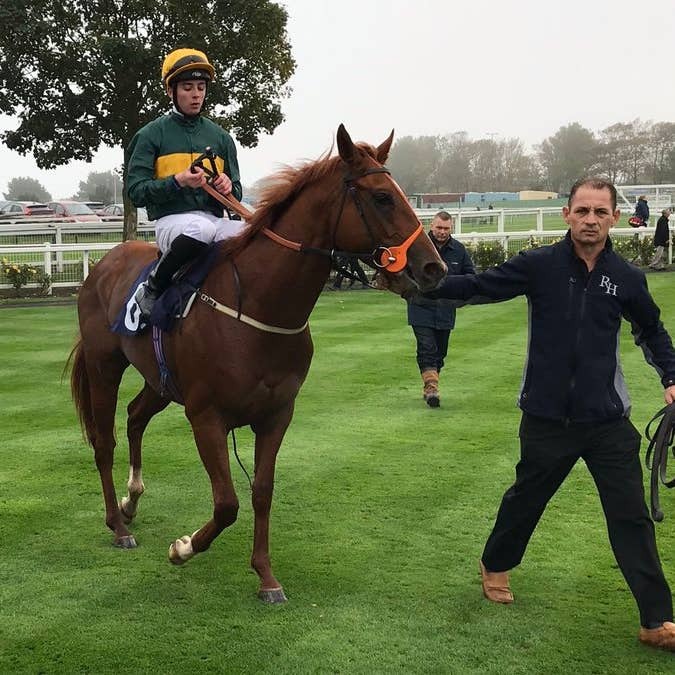 Rossa Ryan may have missed out on being crowned champion apprentice this season but he moved to within two winners of losing his claim after landing a double at Yarmouth. The 18-year-old got the ball rolling when celebrating his 70th winner of the year aboard the Richard Hannon-trained Ginger Fox in division two of the Injured Jockeys Fund Nursery Handicap. Lily Ash (6-1) made it two wins from her last two visits to the course to complete the teenage jockey’s brace, showing a willing attitude to take the Optimist Design Ltd Handicap by three-quarters of a length. Winning trainer Mike Murphy said: “She is a really game filly and we knew she would keep battling, fair play to Rossa. Ryan added: “That’s two left now for my claim, I will just try keep pushing on and try to ride as many winners as I can. Aplomb (2-1) confirmed the promise he showed when finishing fifth at Newbury on his debut was no flash in the pan after defeating newcomer Lyndon B by three-quarters of a length in the British EBF Novice Stakes. Harry Eustace, assistant to trainer William Haggas, said: “He was still a bit green when he hit the front. Once he knuckled down he did well in the end and they pulled well clear. “He learnt a lot from his first run and I’d possibly say that made the difference. Owner Craig Buckingham left the Norfolk track in a much brighter mood than the one he arrived in after the Mick Appleby-trained Debatable (7-2) ran out a convincing winner of the Grosvenor Casino Of Great Yarmouth Handicap. Buckingham said: “We purchased her from the Ascot sales from Godolphin. She is nice and we thought she would win at Catterick last time. Azano spearheaded a one-two for trainer John Gosden when leaving his first-time-out effort well behind in defeating Frederickbarbarosa by five lengths in the British Stallion Studs EBF Novice Stakes. Winning rider Robert Havlin said of the 7-1 chance: “He is still a bit babyish, but he put the race to bed two furlongs out.